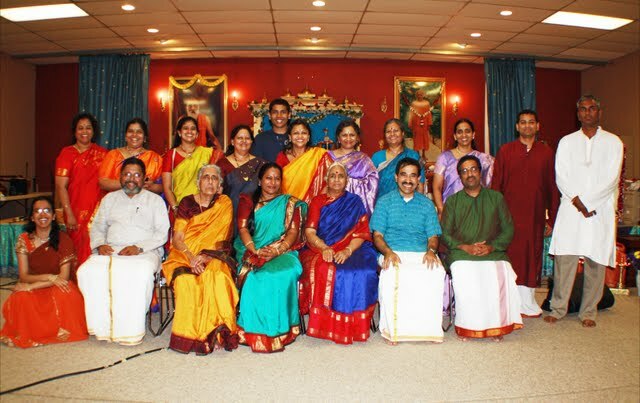 Although it was sweltering outside, it was a musical monsoon – a veritable gaana pozhyal – inside at Chinmaya Mission, in Cranbury (New Jersey), June 18, 2011 as more than a dozen vainikas paid homage to Veena Vidhushi Smt. Kalpagam Swaminathan. 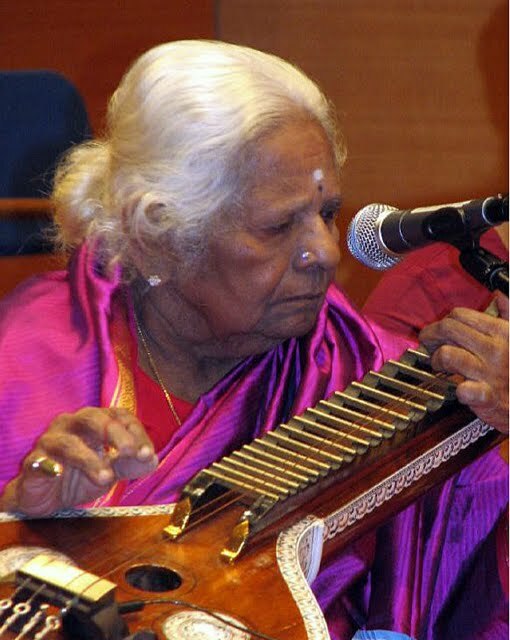 The beloved veena artiste, affectionately known as ‘Kalpagam Mami,” passed away on April 6 in Chennai. The event was spearheaded by Smt. Bhuvana Kannan of Plainsboro(New Jersey), herself a veena player, who initially proposed the idea to local vainikas in mid-April. More than 12 veena players in and around the tristate (NY-NJ-CT) area were invited to perform individually or in groups for no more than 20 minutes each. The program started at 2 p.m. with an offering of flowers to a portrait of “Kalpagam Mami” after which performers played items representing a variety of composers. The performers included: Smt. Nirupa Kumaraswamy; Dr. Amrutha Viswanath; Shri. Swaminathan Natarajan; Smt. 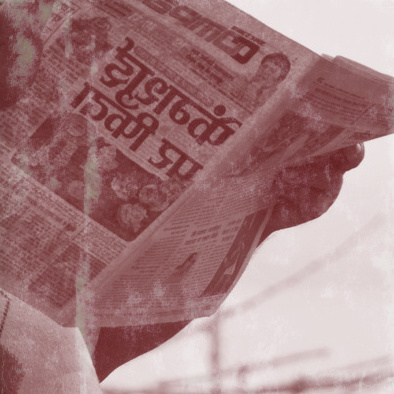 Kalyani Josyula; Smt. Kamala Natarajan; Shri. Prasanna Venkatesh; Dr. Bhavani Prakash; Smt. Vijayam Ranganathan; Sow. Raji Natarajan; Dr. Gopal Kumar; Smt. Kalyani Ramani; Smt. Manjula Ramachandran; and Smt. Bhuvana Kannan and Sow. Aparna Kannan. Taking turns providing mridangam accompaniment to all the vainikas were Shri. Prakash Rao and Shri. Sri Narendran. Smt. Saraswathi Chandrashekar served as the master of ceremonies for the event. The event culminated with a veena concert by Smt. Nimala Rajasekhar, a disciple of Smt. Kalpagam Swaminathan, accompanied by Smt. Gowri Ramakrishnan on the violin, Shri. Kumar Kanthan on the mridangam and Shri. Prakash Rao on the moorsing. Before her concert, Smt. Rajasekhar said she was moved to tears at seeing the enlarged photo of her guru at the entrance to the hall and expressed gratitude to “Kalpagam Mami” for teaching her not only how to play the veena but also for the sage advice and life lessons given throughout her formative years. Smt. Rajasekhar also thanked the organizers and participants of VeenAnjali for the tribute to her guru. The event, which ended around 10 p.m., was well attended by rasikas from near and far. Smt. Bhuvana Kannan said the event exceeded all her expectations. "VeenAnjali was a wonderful experience for me", she said, "With everyone’s support…and Kalpagam Mami’s blessing’s, my dream came true.". + Click here for some event pictures.